We are a design/build remodeling firm based in Savannah, GA that specializes in taking you from design conception to project completion in one seamless process. Whether you live in Savannah or are looking to relocate to the area, you can trust us to be your partner in completing a successful project. Serving The Landings and Greater Savannah area since 1988. One would never know by driving by the hot spot at 317 West Liberty Street, that you were passing a complete interior design center, aptly named The Design House. But that is just what you will find. Conceptualized as a local hub for designers to source out products and rent space, the Design House is an innovation for designers and the public. The Design House speaks to everyone’s taste and style. If you want to go there to buy a sofa, no problem. If you want to redo your entire house, they’ll accommodate that, too. Their philosophy is that interior design is very personal to the client, and they want the client’s taste, not theirs, to shine through. For over 15 years, Lowcountry homeowners, architects, builders, and designers have turned to Charlestowne Fine Cabinetry for beautifully designed and expertly crafted cabinetry. Family owned and operated, Charlestowne has built its reputation on creative design, quality craftsmanship, and excellent customer service. 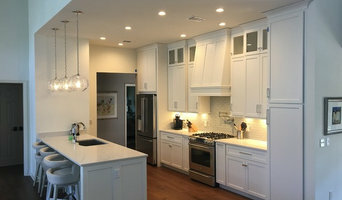 Wilson Roberts Residential Designs, Inc.
Broughton Point Cabinetry is locally owned and operated full service Kitchen and Bath company with over 22 years of industry experience. Our goal is to provide our customers with quality designs, workmanship, as well as a customer experience that is second to none. 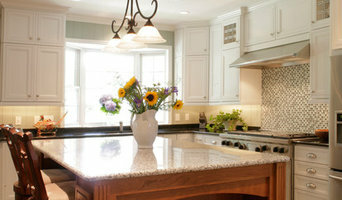 Please come visit our team of qualified professionals for all of your Kitchen, Bath, and Cabinetry needs! Deborah Morcott is the founder and head designer of DDM Designs. Deborah's expertise in interior design has developed from her vast and diverse educational, professional and international exposures. As an expertly trained Residential Architect practicing within the Charleston area for the past 12+ years, Martin Cizler has more than 30 years of combined Architectural experience. Martin has been the Lead Designer and Project Architect on a number of new custom homes and residential renovations/ additions along the coastal islands of the Charleston regional area. Having extensive knowledge of the regional building practices and having spent many hours working with the numerous Architectural Review Boards located throughout the region allows him to easily navigate the complexities of designing in the often challenging natural environment that makes up the Low Country. Carroll Construction is a full service general contractor specializing in historic restorations and renovations in downtown Savannah, Georgia. We are locally owned and operated with more than a decade of experience in residential, commercial and investment projects. Carroll Construction prides itself on providing all of our building and restoration services with a keen attention to satisfying our clients and meeting their goals. Whether you’re looking to preserve, modernize, restore, or add onto your property or investment, Carroll’s team brings the expertise of updating, restoring, and preserving some of the most beautiful buildings and homes in Savannah’s historic districts and the surrounding area. We enjoy collaborating with our clients to re-imagine and remodel their living and working spaces all while continuing to strengthen and preserve Savannah’s architectural heritage. We understand the complexities and uniqueness associated with designing, constructing, and renovating historic properties. From navigating Savannah’s building regulations and historic standards, to employing skilled craftspeople, we draw from our extensive experience to ensure quality and a timely delivery of your project. Let us help turn your residential, commercial, and/or investment needs into realities. Jamie & his staff at Summer Breeze Outdoor are here to complete their mission to provide outstanding design and installation services for all your outdoor living needs. Located on Hilton Head Island, Summer Breeze Outdoor offers the Low Country customer a place to explore the outdoor living possibilities with a neighbors touch to each process. Visiting our showroom and design center allows you to experience Bull products and begin to turn your outdoor dreams into a reality. From grills, cabinets, pizza ovens, fire pits, hardscape, insect control and more, Summer Breeze Outdoor will have you enjoying new outdoor living and grilling options in the beauty and freedom of your own backyard. Give us a call today, we would love to hear from you! Design Lines is a clientele based, full service design firm that specializes in commercial and residential design. My design expertise includes corporate offices, healthcare facilities, hotels, ballrooms, restaurants, condos, resorts, mall, retail spaces and private homes from across the nation. I enjoy turning houses into homes and dreams into reality. Good design is the union of beauty, function and comfort. With the proper use of equipment and the efficient use of space, projects may be as small as a residential bath or large enough to meet the demands of a growing healthcare facility. My philosophy of design, interior and exterior emphasizes the creation of beauty and balance, of function and practicality, color, light and space along with comfort and resilience. My knowledge base is combined with intense listening skills, flexibility, creativity and Southern charm. With experience in scale, balance, color and lighting your end results will be warm, inviting, attractive and functional. I offer on site consultation as well as complete turnkey project management. I work within your budget and time frame to create a spectacular and pleasing environment from beginning to finish.